Toy Box Camera was a work made for the exhibtion 'The Imagination of Children' at the V&A Museum of Childhood, London - 15 October - 5 2011 - 5 February 2012. 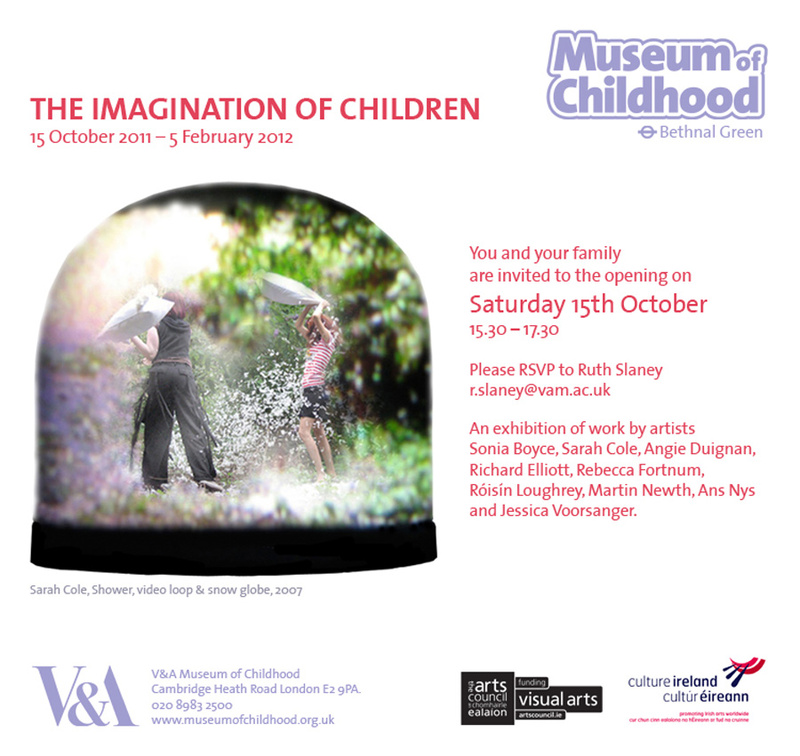 This display brings together nine visual artists who are fascinated by children's ability to play and "make believe", in particular the ways in which they can live in their imagination. 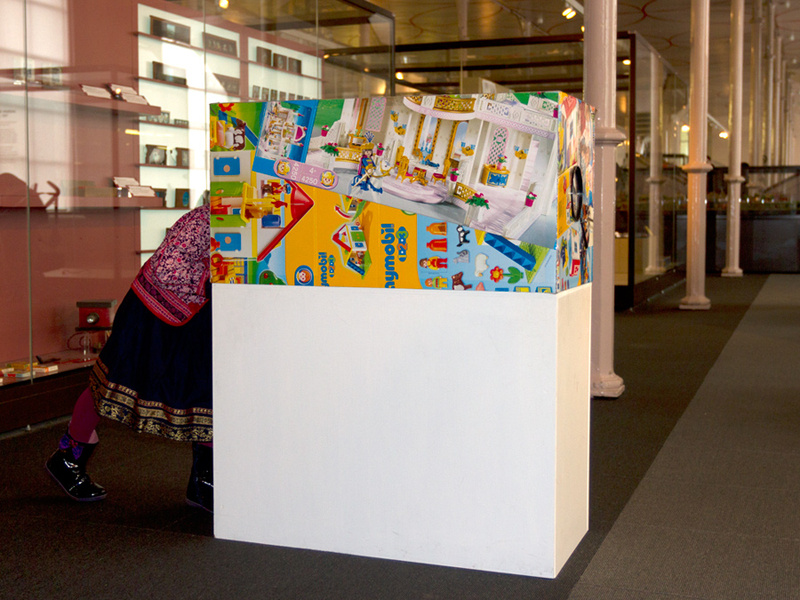 Historically children's imaginings have often been seen as a source of conflict with the adult world but this display recognises and celebrates the profound creativity of a child's imagination. Some works observe that children can readily become someone they are not for the purposes of a game and that fantastical stories are created on a daily basis. Other pieces take as a starting point the way in which a child's perception of the world can often find expression through their physical activity. The works include painting, drawing, photography, video and sculpture by London-based artists Sonia Boyce, Sarah Cole, Richard Elliott, Rebecca Fortnum, Martin Newth and Jessica Voorsanger, alongside pieces by Irish artists Angie Duignan and Róisín Loughrey and Ans Nys from Belgium. The artists have made or adapted their art-works for visitors to discover amongst the Museum's collections. 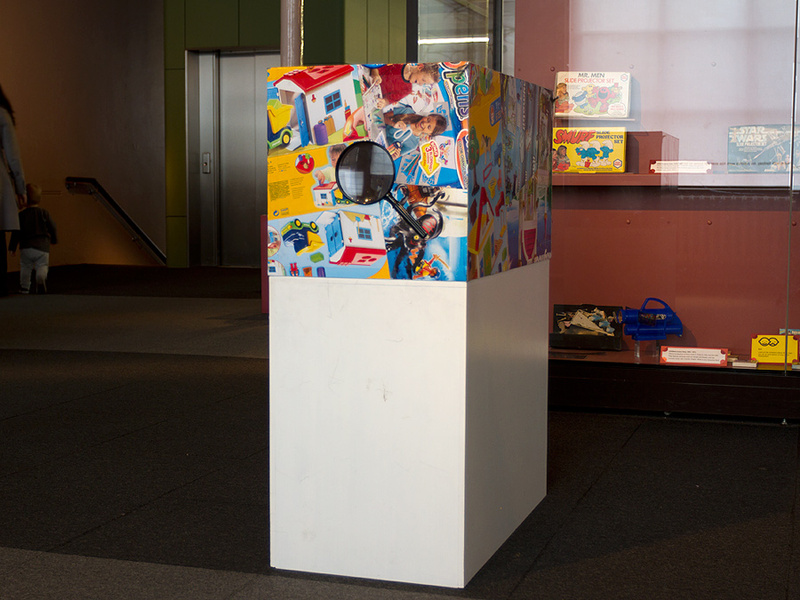 The theme of the exhibition, the imagination of children, is explored through the work Toy Box Camera. Often, children’s vivid imaginations can mean that as much enjoyment is gained from a toy’s packaging as the toy itself. 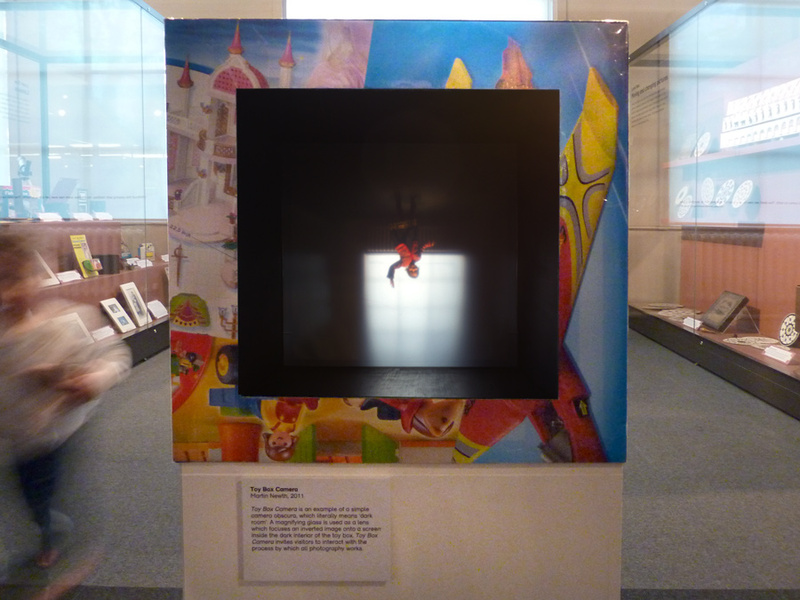 This idea is developed through using toy boxes to create a camera obscura. A toy magnifying glass that is inserted in one end of a large box made from a several toys’ boxes means that a projected, inverted image is focused onto a screen inside the box. 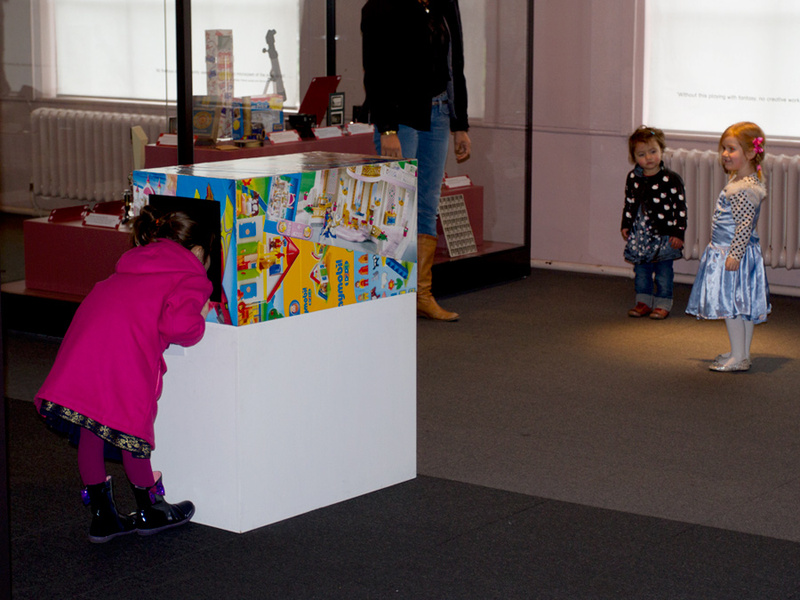 The Toy Box Camera invites children to interact with the process of looking. The work offers a simple, fun and direct way of engaging with the processes by which all photography, and vision itself, operates. Toy box camera embraces the magical aspects of the fundamentals of the photographic process.